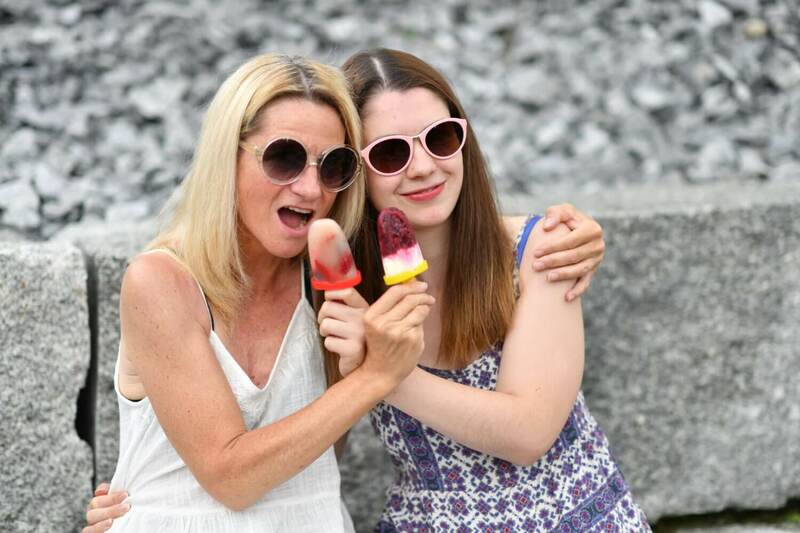 The child in me can never have enough popsicles in Summer. Do you like them too? Here are two super easy recipes. 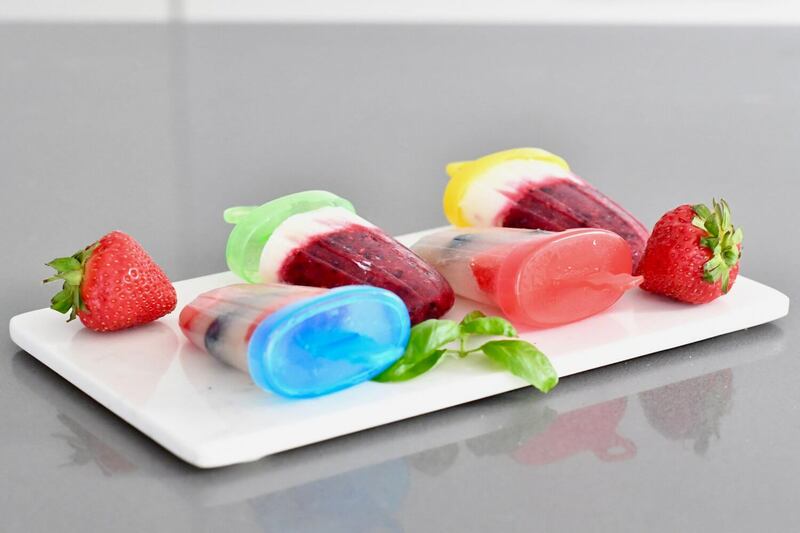 Make your ice pops in a matter of minutes and have them ready to cool you down as soon as the temps rise again! Puree berries lime juice and honey together. 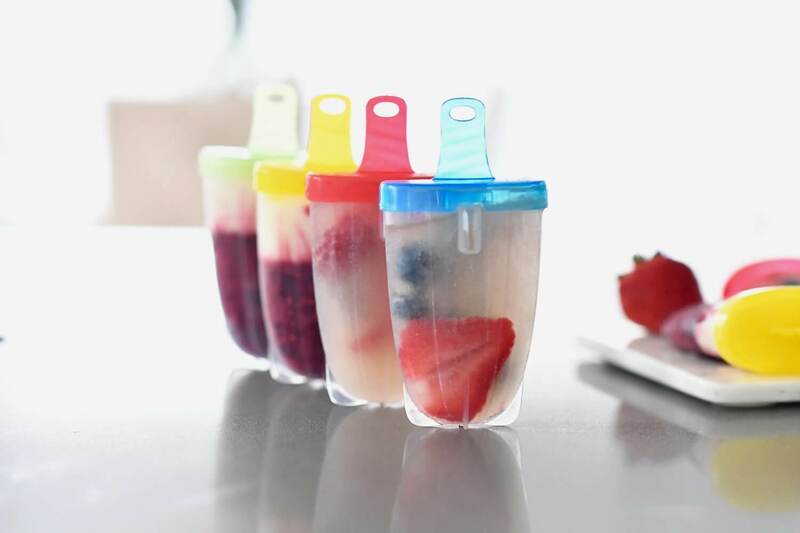 Then fill into popsicle containers. Approximately half way up. Pop into freezer for 10 minutes. 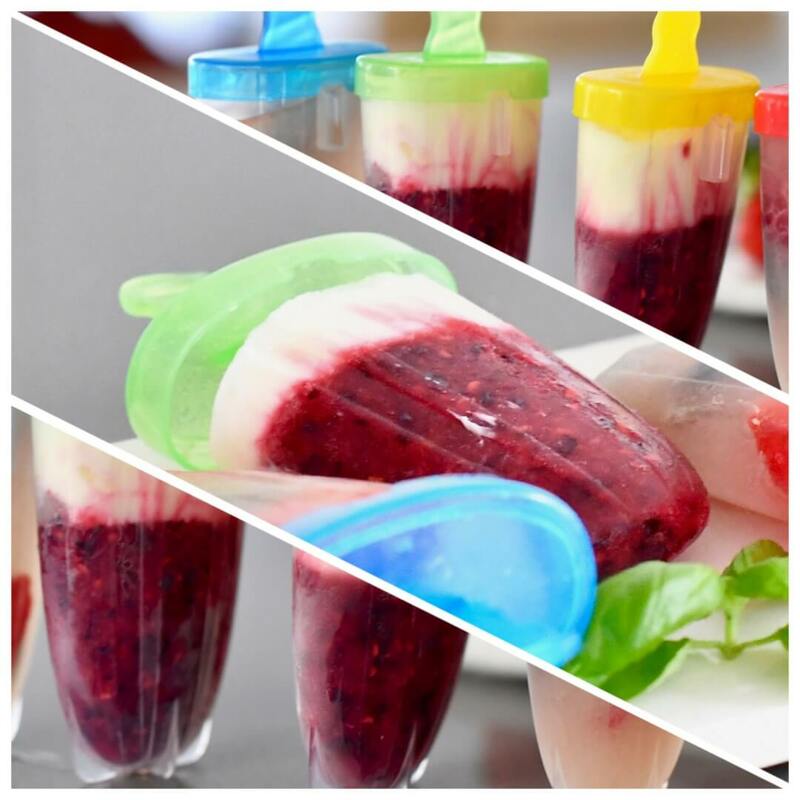 Mix Greek yogurt and syrup together – then pour on top of berry mixture in the ice pop containers. Leave approx 4 hours in freezer before serving. 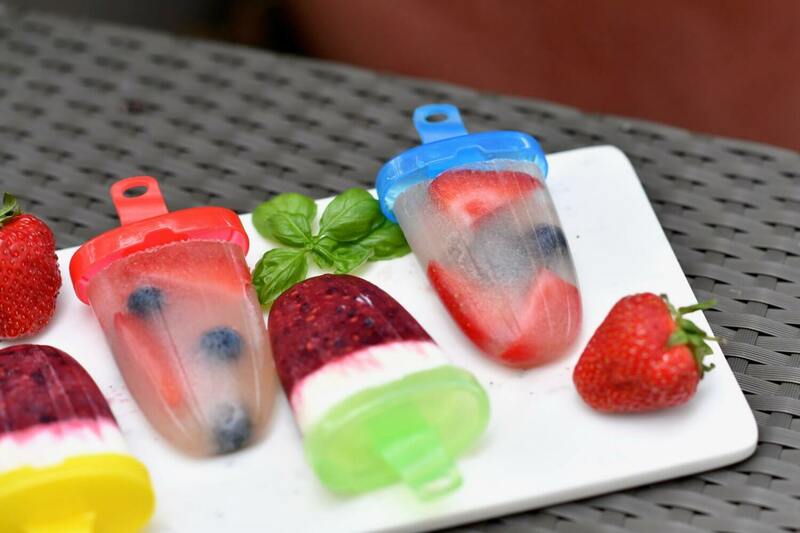 Slice up strawberries and place into popsicle containers, then add a few blueberries to each. Top with coconut water and then place in freezer. 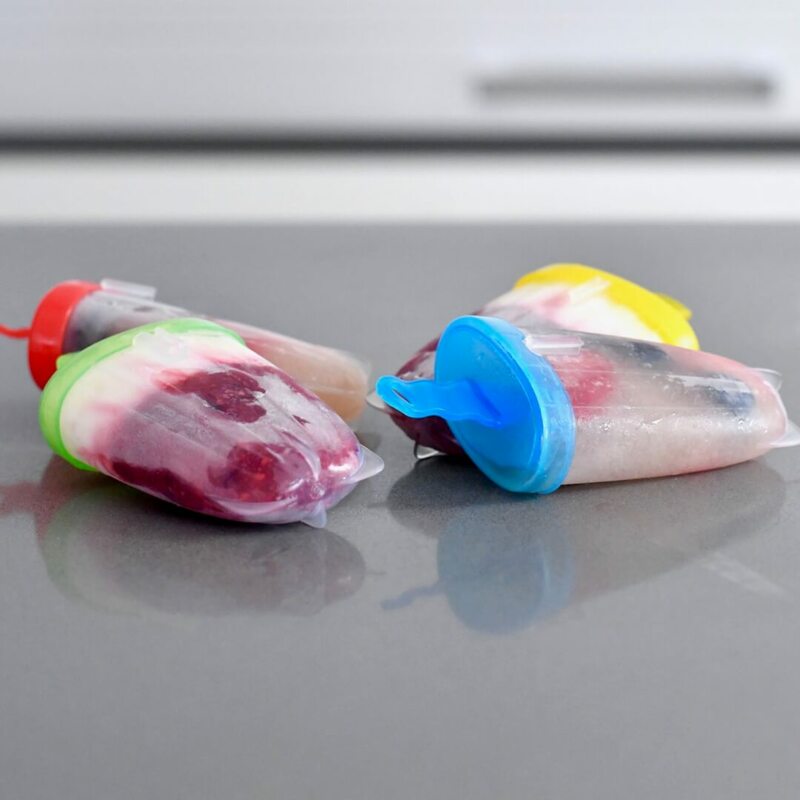 All ingredients in this post, including popsicle containers came from Migros. The recipes are from the lovely Migusto magazine which has loads more great Summer recipes to inspire! 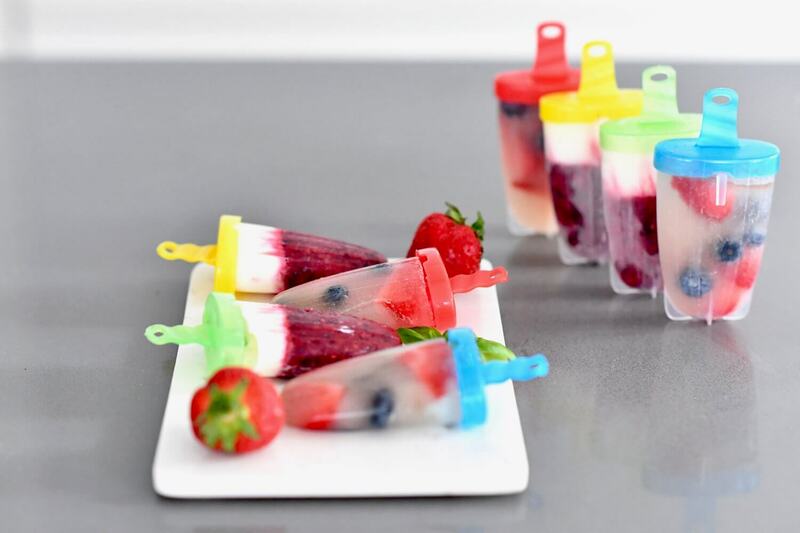 Cool your Summer with a Popsicle! Thank you Karen. Have fun starting your blog sweetie!